Leading brownfield experts Michael Stringer and Jim Darling were recently featured as guest writers in the Seattle DJC. Communities across Washington State are increasingly looking at vacant and shuttered former industrial sites as opportunities to spark revitalization…Through a combination of market forces, land-use planning and public-private partnerships, some of Washington’s most challenged properties are now becoming catalysts for redevelopment. 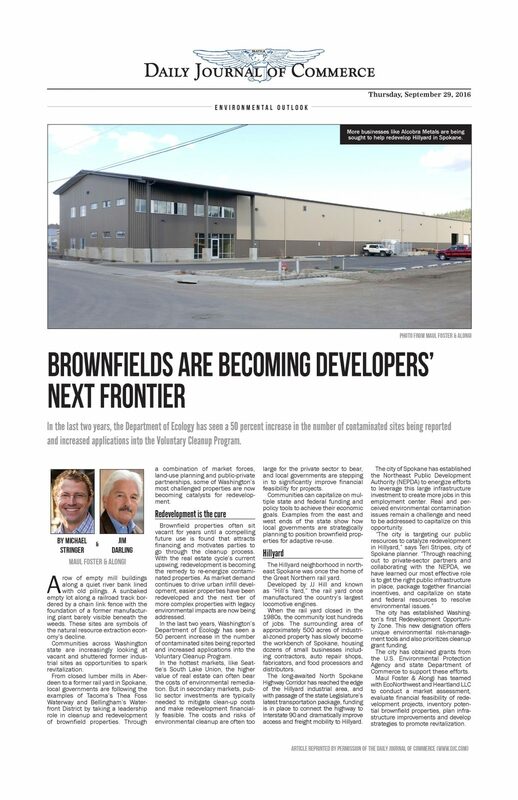 Read how development has become the remedy for brownfield properties—through examined examples across Washington State—in the article below.